The landfills and convenience centers will be CLOSED on Wednesday, July 4, 2018 in observance of Independence Day. Filing begins closes promptly at 12 noon on 07/06/2018. Soil and Water candidates seeking to file for the 2018 election should submit a Notice of Candidacy as well as the Felony Disclosure Form (if needed) and their filing fee to the Harnett County Board of Elections office at 308 W. Duncan Street in Lillington. Every minute of every day, the Red Cross needs blood. That blood can only come from a volunteer donor, a person like you who makes the choice to donate. To make an appointment or for more information please call the Harnett County Division on Aging at 910-893-7579. Harnett County Development Services (which includes Planning, Inspections and Permitting) will be closed Friday, July 13, 2018, for in-house software training. The office will reopen Monday, July 16. We apologize for any inconvenience. Visit http://www.harnett.org/planning/ for more information. The Harnett County Board of Commissioners will hold their regular meeting at 7 p.m. in the County Administration Building at 420 McKinney Parkway, Lillington. The Harnett County Library Board of Trustees will meet on Wednesday, July 25th, 2018 at 6:30pm in the meeting room of the Harnett County Library located at 601 South Main Street, Lillington. If you are a veteran who needs assistance from the VA or who has an existing claim you need processed, you don't want to miss the Veterans Experience Action Center in Harnett County, today through Friday from 8:30 a.m. until 3 p.m. at the Dunn Community Center at 205 Jackson Road, Dunn. Harnett County Veterans Services will be closed to the public today through Friday due to the Veterans Experience Action Center, taking place in Dunn. The office will reopen Monday, July 30. If you need immediate assistance, you may visit the Veterans Experience Action Center today through Friday from 8:30 a.m. to 3:30 p.m. at the Dunn Community Center at 205 Jackson Road, Dunn. Harnett County will host a workshop for prospective Grassroots Arts Program Subgrant applicants prior to the July 27 application deadline. The workshop will be held Thursday, July 26 at 3 p.m. in Conference Room A of the County Administration Building at 420 McKinney Parkway, Lillington, NC 27546. Any applicants who have questions about completing and submitting their application should attend the workshop. Harnett County will host a Community Meeting for the Boone Trail Community Monday, July 30, 2018, from 5:30 to 6:30 p.m. at the Boone Trail Community Center & Library at 8500 Old U.S. 421, Lillington. The purpose of the meeting is to provide area residents and stakeholders with a status update regarding the development of a park on the site and the status of the former Boone Trail School building. For more information, contact the Harnett County Manager�s Office at (910) 893-7555. August is National Breastfeeding Awareness Month. Join us for a Breastfeeding Health Fair learn about Breastfeeding and the local resources available for you and your baby, on Wednesday, August 1, 2018 from 11:00-1:00pm at the Government Complex, Commons Area. All mother�s-to-be, dads, and those breastfeeding or thinking about breastfeeding are encouraged to attend. To register call the Health Department at 910-814-6298. For more information please call the WIC Office at 910-893-7570 This is a free community health and education event. The landfills and convenience centers will be CLOSED on September 3, 2018 in observance of Labor Day. The Dunn-Erwin Landfill, Anderson Creek Landfill, and all of the County�s convenience sites will be closed to the public Thursday, September 13. These facilities will remain closed Friday and Saturday, and possibly longer depending on the duration of Hurricane Florence�s impact on our area. The closure is based on the decision of Harnett County Solid Waste's disposal facility in Sampson County to close in advance of Hurricane Florence's approach. We apologize for the inconvenience and will reopen as soon as conditions allow. Harnett County Government offices will be closed Friday, September 14, 2018, due to Hurricane Florence. 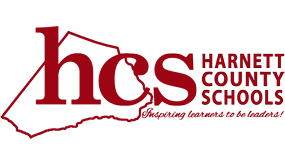 The Harnett County Board of Commissioners meeting scheduled for Monday, September 17, 2018, at 7 p.m. has been canceled.